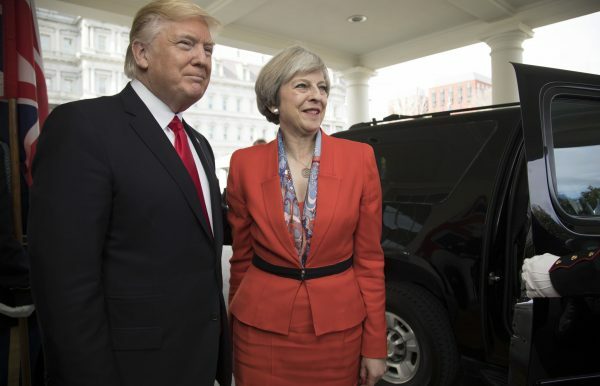 (Worthy News) - Theresa May will come under intense pressure to secure a future trade deal with the United States as she sits down with Donald Trump just hours after he warned that her soft Brexit blueprint would “kill” Britain’s chances. In an extraordinary interview that threatened to undermine her new Brexit strategy, painfully thrashed out with her cabinet last week, Trump questioned whether her plans upheld the referendum result and accused her of ignoring his advice. I love it. Trump is so smart. He knows that Theresa wants to stay connected with the One World Government U.N. as much as possible. But the Brits want OUT and he's helping as much as he could.